Intertek Allentown scientists provide advanced analytical tools and expertise for materials analysis and research & development. The laboratory supports a wide range of industries and markets including electronics, construction materials, industrial gases and much more. Our scientists have decades of industry experience, supporting client research, development and production projects, manufacturing, consulting and quality control. Our capabilities and solutions help customers improve and enhance discovery, prototype, scale-up, trouble-shooting and process monitoring activities. Integrated problem-solving is an important client benefit due to the breadth of tools and experience the laboratory has available. In addition to adapting routine measurements for novel sample types, we stay on the cutting edge by developing new methods for emerging needs, and customized measurement approaches for each environment. Customers who seek expert advice regarding such specific requirements such as prototype, scale-up, discovery, troubleshooting and process monitoring issues will require all-encompassing service, delivered by experts. 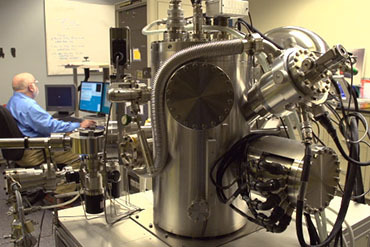 Our services are listed in detail below, and include wide ranging analysis of materials, chemicals and gases; support for R&D, technical service, scale-up, manufacturing, and problem-solving; failure analysis; reverse engineering and unknowns identification; quantitative and qualitative analyses on surfaces, interfaces, and in bulk materials; develop structure-property relationships critical for product improvement. Intertek Allentown is an ISO 17025 accredited laboratory that works with clients around the world. As part of the global Total Quality Assurance laboratory network, we can access additional world-class expertise and resources to support client needs.